The Biogeography & Macroecology (BIOMAC) lab is a research group at the University of Amsterdam (UvA), the Netherlands. 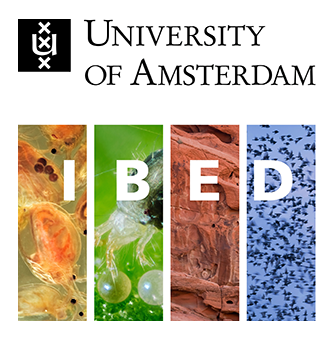 We are part of the Department Theoretical and Computational Ecology (TCE) within the Institute for Biodiversity and Ecosystem Dynamics (IBED). The central aim of our work is to quantify how biodiversity and abiotic components of the Earth system vary across space and time, how they interact, and how responses of species and ecosystems to changing environmental conditions can be predicted. The group comprises associate and assistant professors, lecturers, post-docs, and PhD and MSc students. We cover a wide variety of scientific backgrounds, including ecology, physical geography, Earth science, evolution and global change biology. Please read more about our research and our teaching, have a look at our news page, or get in touch with our lab members. Two of our new papers show how high-resolution Light Detection and Ranging (LiDAR) data can be used to better understand the distribution of species and their habitats. This new paper shows how plant traits related to fruit eating by animals have influenced the intercontinental long‐distance dispersal and disjunct biogeographical distribution of rain forest plants. An editorial published in Nature Ecology & Evolution highlights our recent paper on developing Essential Biodiversity Variables on species traits. A comprehensive collection of pairwise interactions between palms and their animal seed dispersers reveals that the Neotropics has a larger interaction diversity and more modular network structure than the Afrotropics. There is a high need for up-to-date biodiversity data to efficiently measure global biodiversity change. In a new paper, we outline ten principles to improve cooperation and interoperability among research infrastructures to achieve this goal. Our new paper in Nature Ecology & Evolution shows how intra-specific trait variability can inform international policies about global biodiversity change. The EGU General Assembly 2019, taking place in Vienna (Austria) on 7–12 April 2019, will bring together geoscientists from all over the world to one meeting covering all disciplines of the Earth, planetary, and space sciences. More information here. The third Island Biology conference will be held from 8-13 July 2019 on La Réunion, one of the Mascarene islands, and in the heart of the Malagasy Region biodiversity hotspot. For more details, see here. The 2019 biodiversity_next conference brings together major international organisations, research scientists, and policy makers to jointly identify socio-technical bottlenecks and horizon-scan opportunities around data-intensive biodiversity and geodiversity research. More information here.